Absinthe Makes the Heart Grow Fonder... — Or at least, that's what our hero of the moment might say. 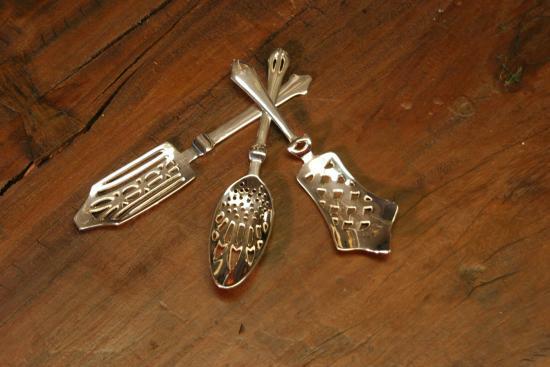 Inspired by an antique absinthe spoon from the south of France, this set of three silver-plated spoons by Roost will set the right tone..supper with Vlad Tepes or romantic reverie, in the wraith theme. 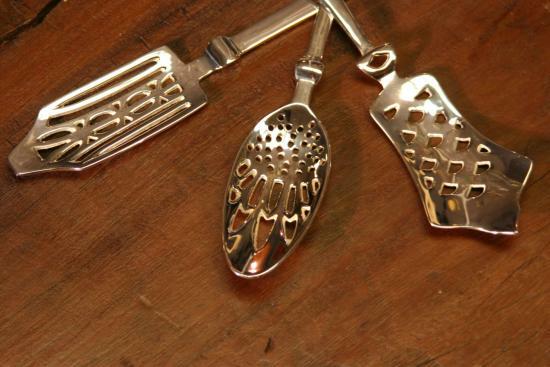 The spoons are slotted, of course, and if you are looking at them, you know what to do.... Needless to say, but I will say it...you bring your own sugar. This product may be available as a custom order. Please contact us to get a quote.